Just before Flash Memory Summit 2018, we have an announcement of Microsemi PCIe Gen4 switches. Microchip just bought Microsemi. 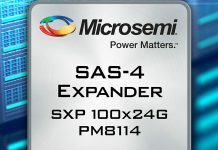 During this transition period, and including the latest RAID controllers, Microchip Microsemi Adaptec SmartRAID 3162-8i RAID adapters the company is keeping the Microsemi branding. PCIe Gen4 is about to get thrust into the spotlight as IBM POWER9 already supports the new standard and AMD EPYC “Rome” platforms are expected to support PCIe Gen4 as well. 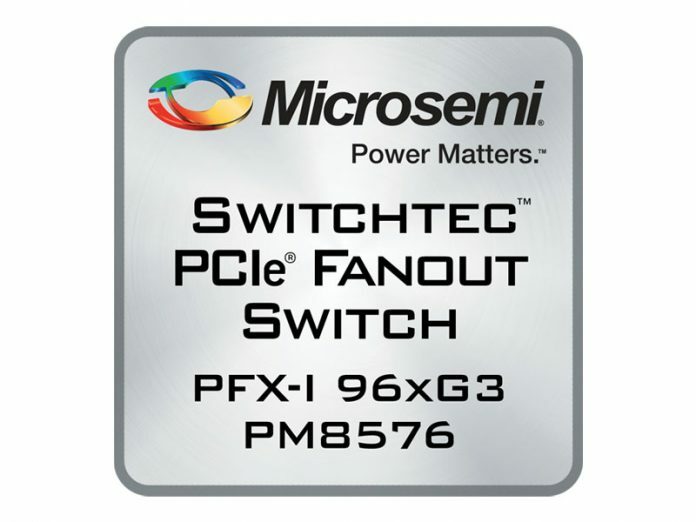 These new switches are important because they give the industry an alternative to Broadcom PLX chips. For the flash space, we covered the business side of PLX acquisition: Impediment to NVMe everywhere. On the networking side, servers are severely constrained with PCIe Gen3. PCIe Gen3 can support 50GbE and Mellanox’s 56GbE, and FDR Infiniband in a x8 slot. Those x8 slots are the mainstays of the server world. To get EDR Infiniband, Omni-Path 100 (in PCIe form), or 100GbE, one needs a PCIe 3.0 x16 slot to provide bandwidth for a single port. PCIe 4.0 will provide single-port PCIe bandwidth in a common x8 form factor. It will also support dual-port 100GbE or single port 200GbE in a single PCIe 4.0 x16 slot. The Microchip Microsemi Switchtec solutions are important on a variety of levels. First, the ecosystem ramp from PCIe 3.0 to PCIe 4.0 is sorely needed. This furthers that goal. Second, it provides an alternative to the Broadcom/ PLX regime which post-acquisition was a nightmare for hardware providers in the space.